"7575 Fulton Street East Ada, MI 49355-0001"
Global Citizenship That’s PurposefulIn 1959, Amway launched a business model fueled through the power of relationships. The original product offered in this model, was Liquid Organic Cleaner (L.O.C.). It was the first concentrated, bio-degradable, and environmentally friendly cleaning product. 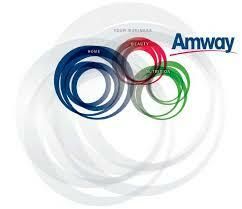 Since then, Amway has expanded from home products to a global leader in the categories of health and beauty.